The Cleveland skyline from Lake Erie. The weekend before last I took a trip to Cleveland, to see BFF Wendy, who moved there a few years back. It wasn’t my first trip there — it was, in fact, my third — but I don’t think I’ve been anywhere before that left so little of an impression on me. As much as I racked my brain, I could conjure up almost no recollection from my first two times there. I don’t think this is necessarily Cleveland’s fault, though. My initial trip was a “visit the parents” trip with (unbeknownst to me) a very-soon-to-be-ex boyfriend, and the second was a “get out the vote” trip (as part of my brief foray into political activism) that involved virtually no sleep. I don’t think either circumstance was designed to leave me with much in the way of memories. 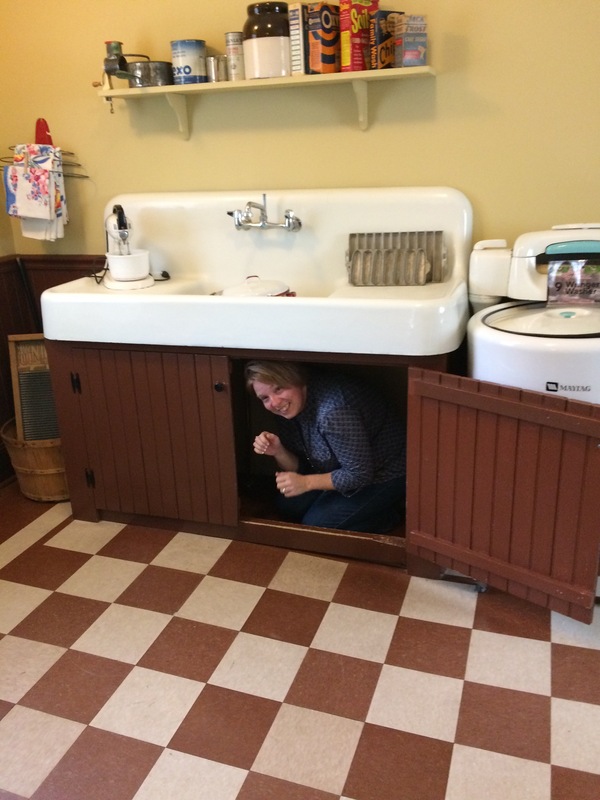 Wendy, on the other hand, wanted to show off her new hometown in all my favorite ways — mostly involving local food, craft breweries, and historic neighborhoods. (Girl knows me, that’s for sure.) And did she ever deliver. I had such a good time that when I got back my brother asked me if I’d been hired by the Chamber of Commerce, since I’d been posting such glowing things on Twitter all weekend. And he’s right: I came back with a bit of a crush on Cleveland. My favorite area was the neighborhood called Ohio City, which is where most of the breweries are stashed in beautifully adapted historic buildings. (Anyone surprised that I loved this? Of course not.) 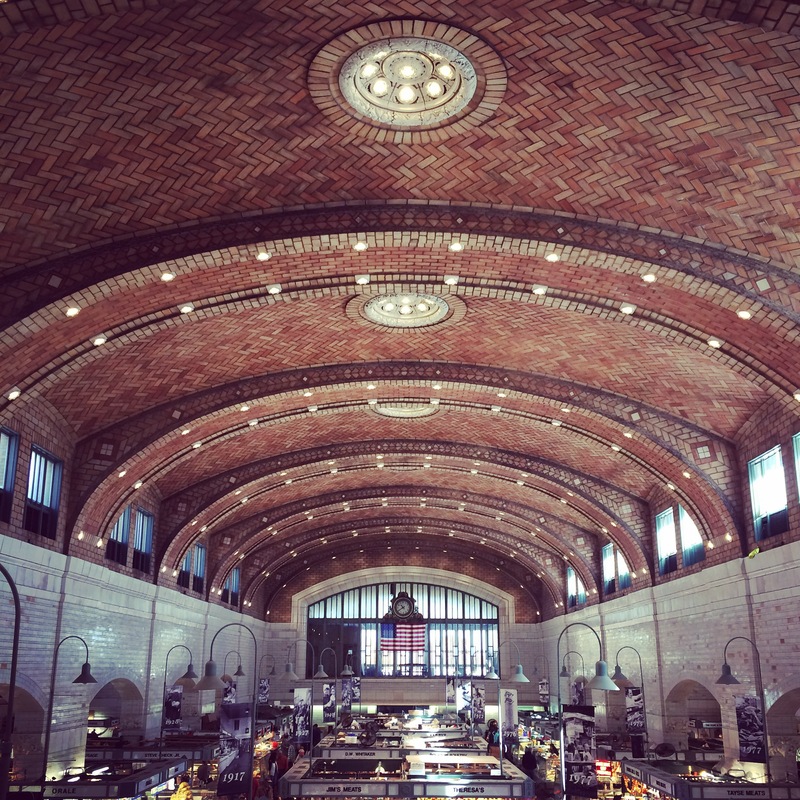 It’s also home to the West Side Market, which is pretty much D.C.’s Eastern Market on steroids, plus pierogi. 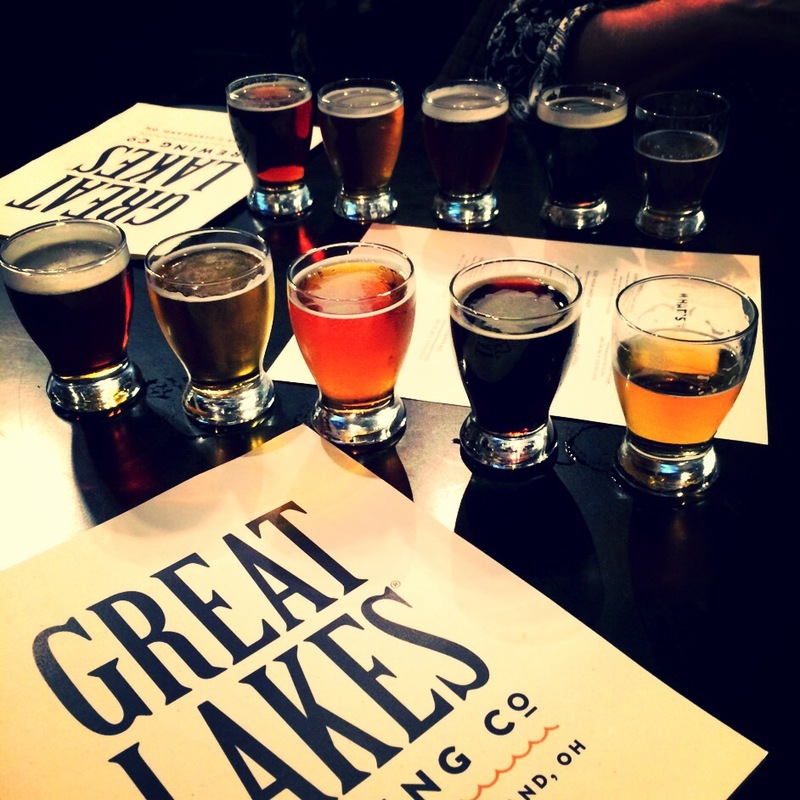 Great Lakes Brewing Co. in Ohio City. 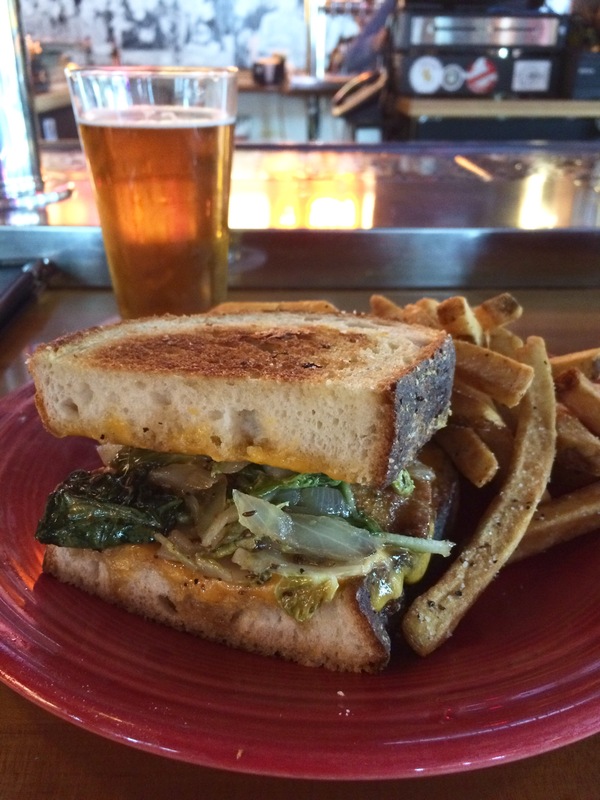 And speaking of pierogi, Wendy found a joint where I was able to eat a grilled cheese sandwich with pierogi on it. The restaurant was called Melt and the sandwich the Paramageddon, and both changed my life. 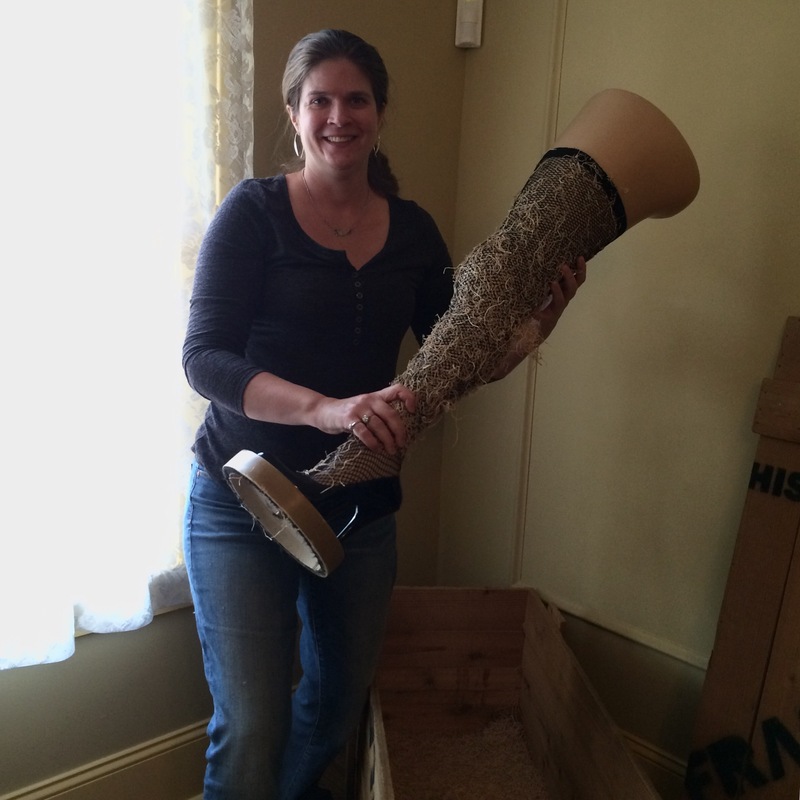 Fra-gee-lay… It must be Italian! 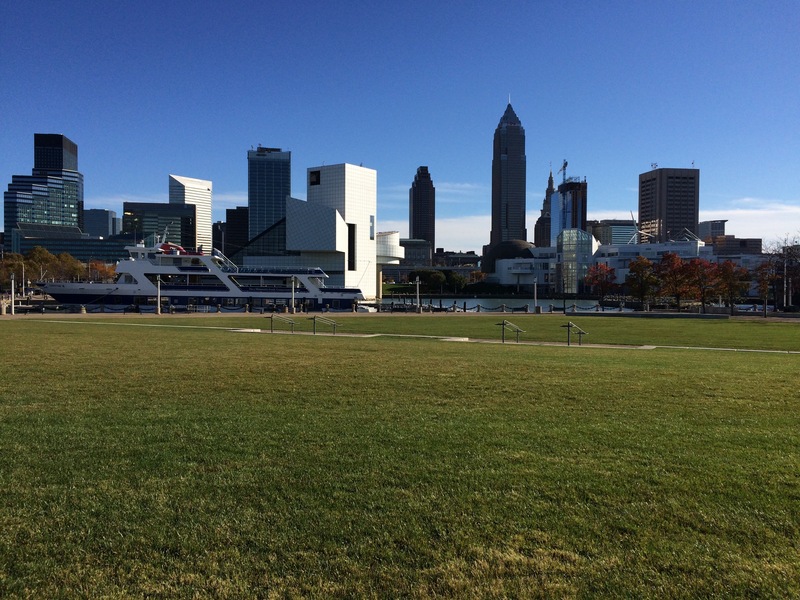 We also took a spin downtown so I could see Lake Erie and check out the Cleveland skyline. 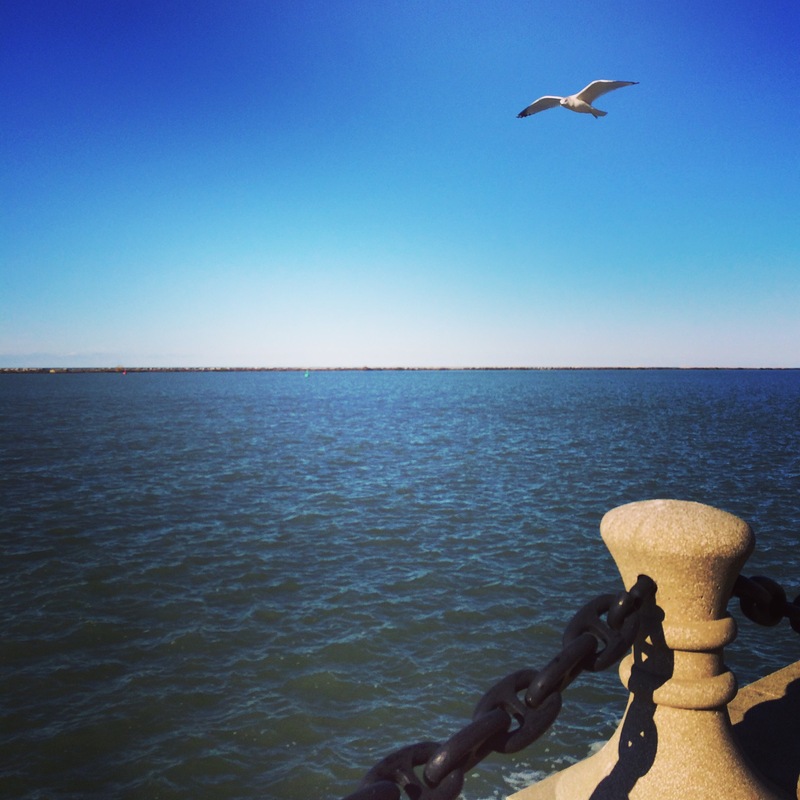 Look at that blue sky… even the weather was trying to woo me. I came away thinking that the mysterious “they” are right. Cleveland does rock. Oh, Mom Heffern… Please come to Cleveland and try the pierogis. You won’t regret it. Sarah: will you post about Heinen’s, or is that strictly for work? I need to do the Heinen’s post for work first, and then I will probably cross-post it here. Maybe with more pix. I agree with Mom 🙂 Pieroghi yes – on a sandwich – overkill!